Alice Gray, is an inspirational conference speaker and the creator and compiler of the bestselling, award winning Stories for the Heart book series. In one of the 'Stories of the Heart' books I have, I enjoyed reading her list of , "How to put a Wow in Every Tomorrow." This inspired me to share some ways and resources, especially the book, "ThinkerToys" - with you as a way to develop good attitudes and generally a healthy 'ideas' mindset. How to put a "Wow" in every tomorrow! I want to mainly focus on "Keep Growing - Walk a Different Path; Take a class; Read something inspiring." One of the According to Bloom's Taxonomy (a set of three hierarchical models used to classify educational learning objectives), recalling facts is at the lower end of the spectrum of critical thinking skills. 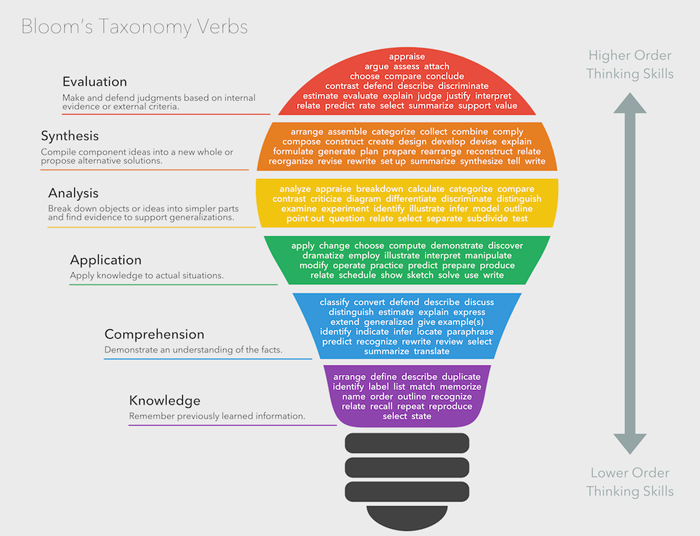 Application and synthesis of knowledge are at the top of Bloom's Taxonomy. So, not only do we need to have facts and information - but we need to be able to know how to act on it. We constantly hear that jobs of the future have not even been created as yet, so students need to know how to think, change, collaborate with others and communicate effectively. So the education of our children needs to keep these points in mind. 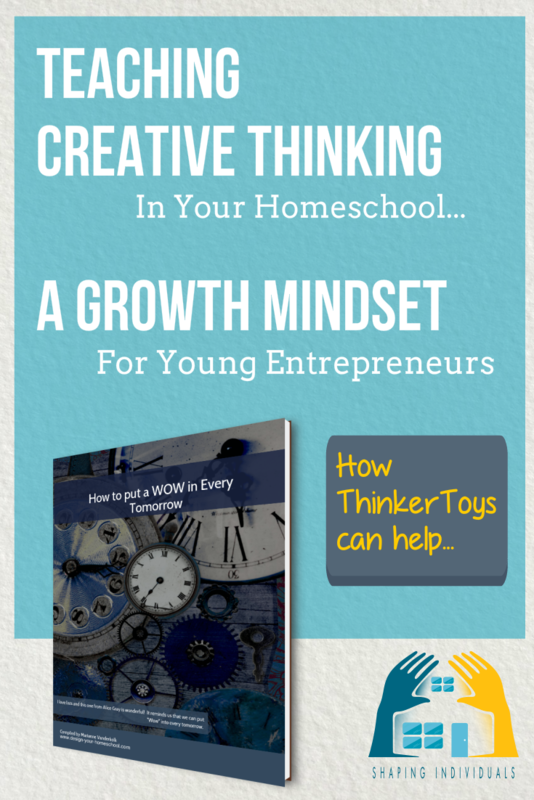 Are we developing creative thinking in our Homeschool? So, as we homeschool - it makes sense to ask ourselves: Are we producing thinkers? How can we make sure that the curriculum we create is focusing on skills and techniques and not just on content? Are we teaching creative thinking and what are some ways we can focus on this more? One thing that some parents may choose to do - is to limit the amount of subjects we teach and choose to delve into these subjects in increasing depth. We could also choose to focus on the Skills - and use content as a way to develop our skills. 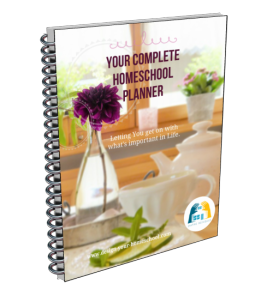 This is something I describe in my article on how to "Simplify Homeschooling" . Also, teaching logic is an excellent way to methodically teach the art of precise thinking as well as identifying flaws in thinking. This is especially good in persuasive writing and speeches and developing well-thought arguments. Books we have enjoyed to develop critical thinking are especially "The Fallacy Detective" and "The Thinking Toolbox." We also used James Nance books on Introductory and Intermediate Logic. Designed for .... "monkeys," who are willing to work on themselves, work to develop their business creativity, and work on coming up with innovative ideas ... and are ready to enjoy the very real benefits of that work." However, I also want to focus on a book which I have bought recently and just loved working through for my own sake. It is, "Thinkertoys - a handbook of creative-thinking techniques", by Michael Micchalko. " The book is designed for the "monkeys," who are willing to work on themselves, work to develop their business creativity, and work on coming up with innovative ideas ... and are ready to enjoy the very real benefits of that work." It is a book of Thinkertoys - strategies to use to create ideas which can change how you do things and creative techniques to get new ideas and then work with the ideas - to make something new! The book not only has strategies to help you hone down ideas - but also explains how to find and look out for ideas. In this way the book helps in teaching creative thinking from the outset - finding and developing ideas. Chapter 1-4 are set out to help us work towards a Thinking Mindset. In Chapter Two, called, "Mind Pumping" - it explains how to act like an idea person. In this chapter the author suggests to give your mind a workout every day and set an idea quota for an idea you are working on - like 5 new ideas every day for a week. Thomas Edison held 1093 patents. He loved to exercise his mind and felt that without a quota he probably wouldn't have achieved very much. His personal invention quota was a minor invention every ten days and a major invention every six months. He also suggests to work on analysing content that is being pushed through advertising, through your inbox and in popular culture. Another suggestion is to collect and store ideas. You could add your thoughts in a container (shoe box, desk drawer, file folder..) and then when looking for a new idea, shake the container and pull out a few items at random which can sometimes trigger a thought which might lead to a new idea. You might also like to keep an Idea Log. I love using OneNote and have pages of ideas which I can group, link to and re-organize. I can link to websites, clip pictures and make notes and lists. The rest of the book, in chapters 5 - 39 - the author lists and explains the process of ThinkerToys which are organized into different groups and parts - Linear Thinkertoys, Intuitive ThinkerToys, The Spirit of Koinonia (collective intelligence) and End Toys. If you want to work on new ideas and encourage your children to be 'thinkers' - to be entrepreneurial, to step out of the box and to spend fun times tossing all sorts of crazy ideas around - then you will love ThinkerToys, an incredibly comprehensive handbook of Creative Thinking Techniques. At one time while homeschooling some teens, we created a "Thinking Club" which involved a whole lot of activities including book discussion and games. I didn't have this book at the time - but would definitely see this working in a fun, group setting where others contribute and play around with ideas. 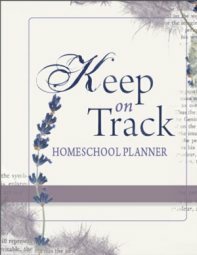 Have you used this book in your homeschool? What did you think?